OpenDroneMap’s documentation is a bit… missing. Not because the information is not available. Between the various documentation pages, the community forum and the source code (yes that’s a form of documentation) it’s quite possible to learn the ins and outs of the project. But nobody has had the time or willingness to write a more cohesive and central source of information. I have no hope that some contributor will come along anytime soon to fill this need. 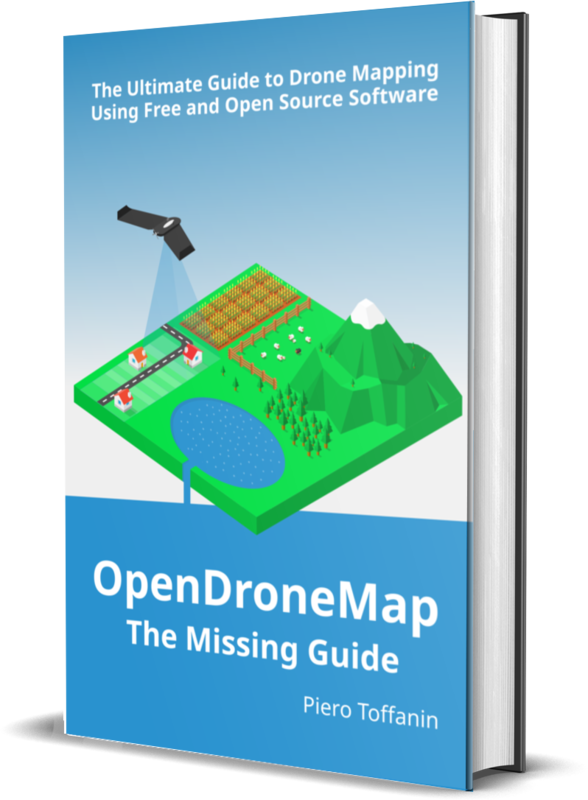 So today I’m announcing “OpenDroneMap: The Missing Guide”. It’s available for pre-order at odmbook.com for $9.97 and comes with all sorts of perks, like having your name engraved forever in the history of the project. We will be publishing independently and provide the book as a DRM-free digital download, with a few paper copies probably on-demand to bring at events such as FOSS4G. We plan to release the book by the end of this year / beginning of next year. Hopefully we’ll get many comments that will help guide its writing effort.